Let’s begin by elucidating as to what the Pacific Ocean is, and what it is not. The Pacific Ocean is known to be the largest ocean in the world, with the Atlantic Ocean being the second largest ocean, followed by the Indian Ocean, the Antarctic and the Arctic Ocean. 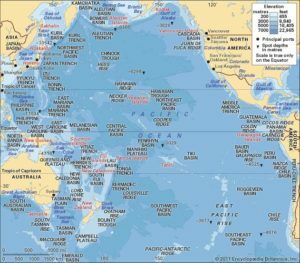 Although it is common knowledge that the Pacific Ocean is the largest ocean in the world, I suppose it is not so common as to who it owes its mysterious name to. 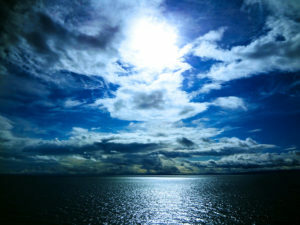 It was Ferdinand Magellan, a Portugal native, who after successfully rounding the tip of South America in a voyage in the early 1520s described the ocean as a “beautiful, peaceful ocean…”, and thus it was named The Pacific Ocean (Pacific meaning peaceful, as connoted by the Latin word pacificus). Numerically speaking, that is about 60 million square miles (approximately 155 million square kilometers). In addition to that, it is about fifteen (15) times the size of the United States. 2. 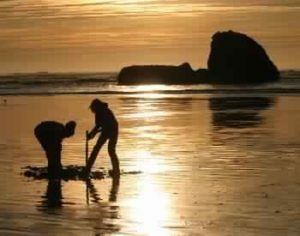 There are points in the Pacific Ocean where, if you dug a hole in the opposite end of the Earth you’d still be in the Pacific Ocean. 3. The Mariana Trench, the deepest known point in the ocean, is located in the Pacific Ocean. 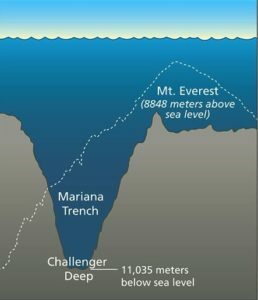 Although the Pacific Ocean’s depth is about 2.8 miles the Mariana Trench plunges to a depth that is about 2.5 times the depth of the Pacific Ocean. 4. It is the only ocean to have seventeen independent nations located in, and around it. Yes, SEVENTEEN! They are: Vanuatu, Fiji, Japan, Kiribati, Marshall Islands, Micronesia, Nauru, New Zealand, Palau, Papua New Guinea, the Philippines, Samoa, Solomon Islands, Taiwan, Tonga, Tuvalu, and Australia, with Australia covering most of the largest land mass in this ocean. 5. The Pacific Ocean shrinks an inch every year, while the Atlantic Ocean is increasing the same every year. This phenomenon is believed to be effected by plate tectonics. 6. About 60% of the world’s fish come from the Pacific Ocean. It is no surprise it is the world’s largest supplier of fish, as it is after all the largest ocean in the world. 7. 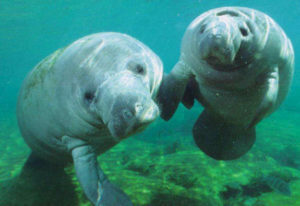 This majestic ocean is host to a very rare mammal called the Dugong. The Dugong is amongst the top six most endangered animals in the Pacific Ocean. Amongst the list are whales, sea lions, seals, sea otters, and turtles. 8. In addition to the 17 nations that are located in the Pacific Ocean are the 25,000 islands which are beautifully scattered in this peaceful ocean. No other ocean has this number of islands in it. Indonesia alone consists of about 17,500 of these Islands, and Japan about 3,000. 9. Despite the fact that the Pacific Ocean owes its name to Magellan, it was Abraham Ortelius who first mapped this peaceful ocean, and it was he who named the Pacific Ocean in honor of Ferdinand Magellan.